Deputy Prime Minister and Foreign Minister Pham Binh Minh emphasized that the APEC Year 2017 is a significant opportunity to highlight the spirit and intellectual capacity of Vietnam’s foreign affairs, particularly the multi-lateral diplomacy. Moreover, hosting APEC events demonstrates the strategic diplomatic vision and growing stature of Vietnam. Grant Thornton Vietnam Limited’s 16th survey of the Vietnamese private equity sector showed largely positive economic progress and optimism for the country’s level of investment attraction. The presence of Aeon Mall and Takashimaya and their expansion of networks in Vietnam show the attractiveness of the retail sector. The Bà Rịa–Vũng Tàu Province customs on Monday set up a port control unit (PCU) that will link up with international counterparts to secure customs clearance and prevent smuggling and transport of prohibited goods. Vietnam needs to invest in human resources to take advantage of and keep updated about the fourth industrial revolution or Industry 4.0, Nguyen Van Thu, President of the Vietnam Association of Mechanics said. According to the Vietnam Water Supply and Drainage Association, by the end of 2016, Vietnam treated only 10 percent of total urban waste water. Multinational companies focus on building talent management strategies right from the early stage of their businesses, but many of their Vietnamese counterparts do not, a seminar heard in HCM City on Tuesday. Hanoi People’s Committee has just released the Plan No. 95/KH-UBND on organizing a conference themed “Hanoi 2017 – Cooperation, Investment and Development”. Vessel CSB-8004 carrying a delegation of the Vietnam Coast Guard High Command arrived at Xiuying Port in Haikou city, China’s Hainan province, on May 9, beginning an exchange programme with China’s Coast Guard. Vice Chairman of the People’s Committee of Can Tho city Truong Quang Hoai Nam on May 8 received Sigmund Stromme, Executive Vice President for shipping and logistics at Thoresen Thai Agencies Public Limited from Thailand, who is looking for business opportunities in the local seaport and logistics industry. Many products including iron, steel and wood from Vietnam are under an investigation by the US Department of Commerce (DOC) and may be subject to anti-dumping duties. 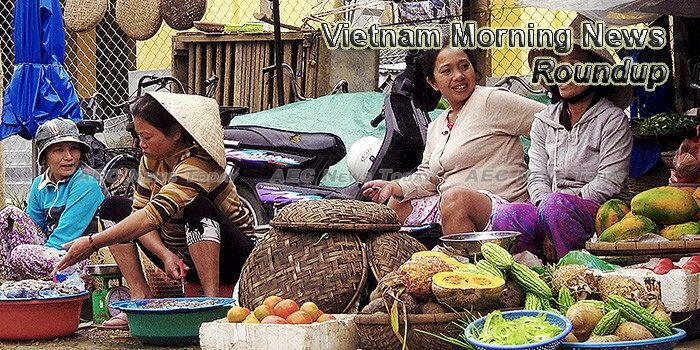 The American Food and Drug Administration (FDA) has cancelled the import licences of 679 Vietnamese food and beverage manufactureres that did not re-register with the agency as required, or did so without following current procedures. The central city has approved its first-ever dairy farm on 124ha in Hoa Phong commune in Hoa Vang district. Total sugar inventory at factories and trading companies by the end of April reached a record high in the history of the local sugar industry, according to the Viet Nam Sugar Cane and Sugar Association.